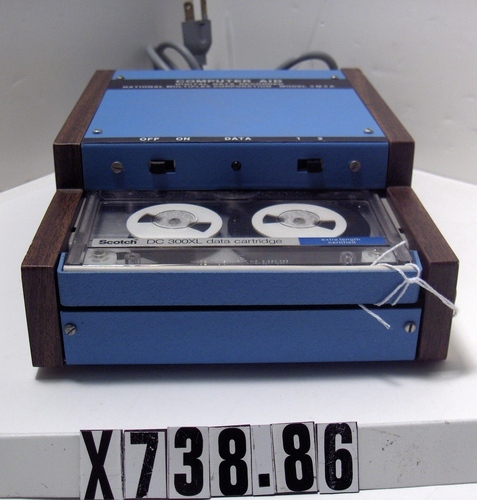 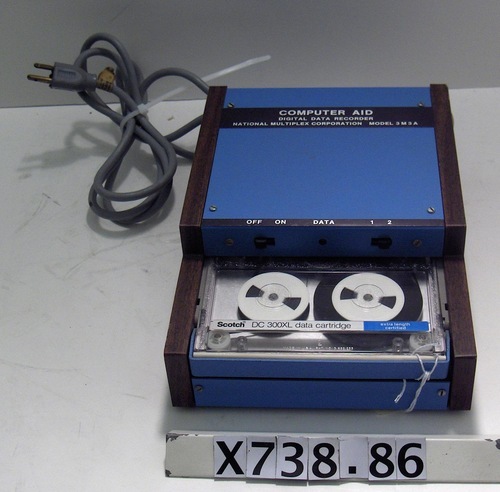 Object is a cartridge tape drive for a Scotch tape data cartridge.Two slide switches are labeled "OFF/ON" and "1/2" (track?). 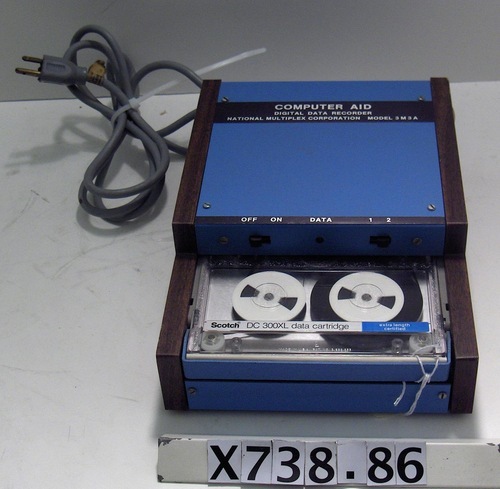 The data connection is apparently an edge connector on the PCB that projects from the rear. 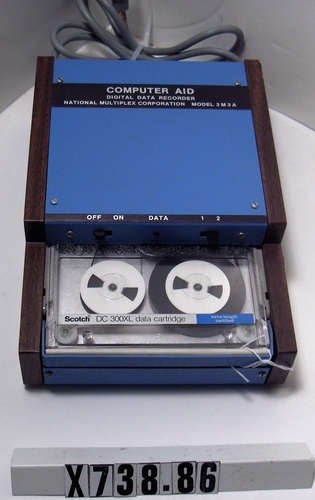 A cartridge labelled "Scotch DC300XL data cartridge extra length certified" is mounted in the drive.